Celebrate Solo: A Star Wars Story with new events and rewards inspired by the movie! 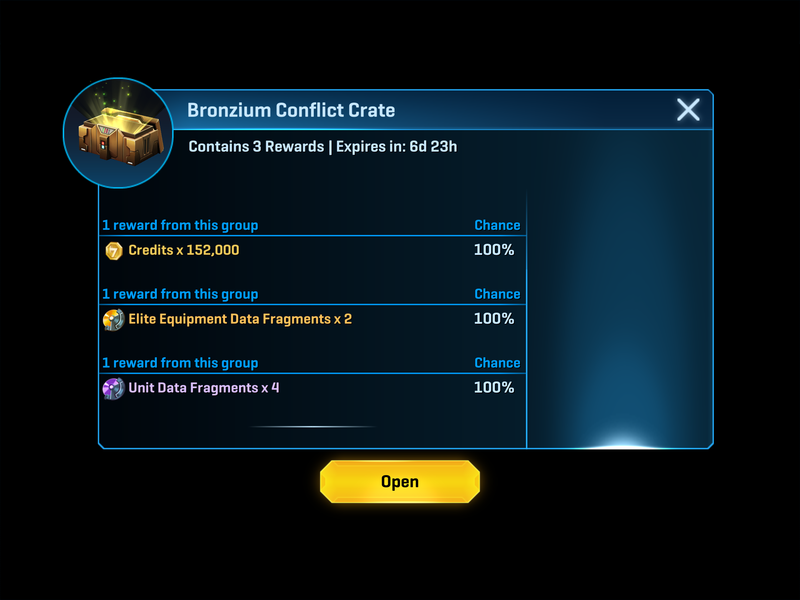 For a limited-time, complete missions to unlock brand new starships, mercenaries and vehicles! 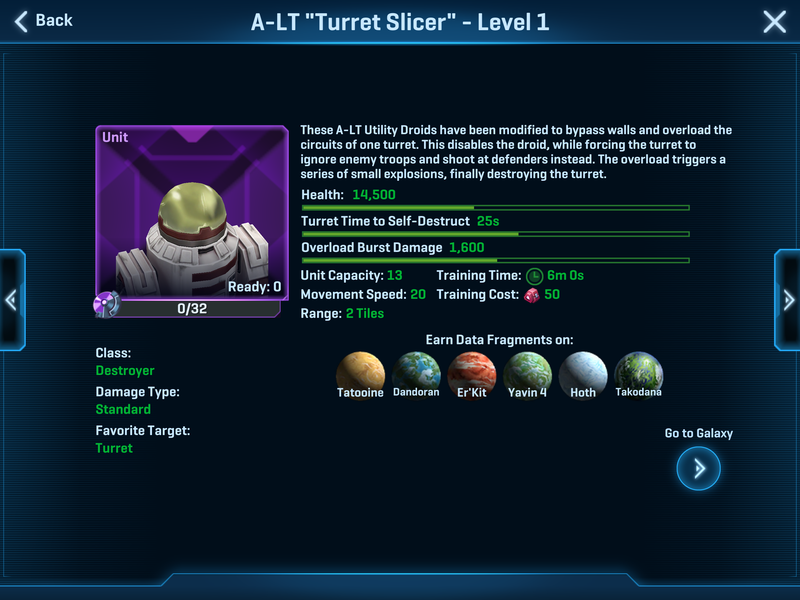 A-LT "Turret Slicer" - These astromechs infiltrate enemy bases to overload turrets, turning them against their own troops! AT-DT Walker and Stolen AT-DT Walker - This vehicle fires explosive projectiles, dealing splash damage that is highly effective against infantry and packed defenses. AT-Hauler and Salvaged AT-Hauler - This powerful new starship drops vehicles directly on the battlefield to instantly engage in combat. Deployed vehicles become stronger as starship levels up. 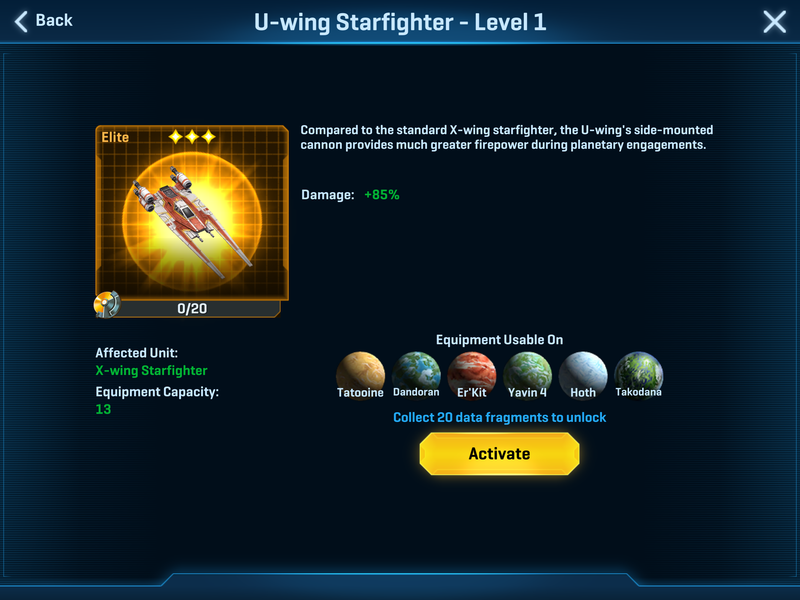 TIE Brute and U-Wing skins - Unlock starship equipment for the first time ever! 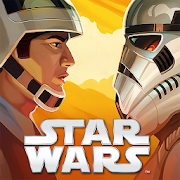 Activate to transform the TIE Fighter or X-Wing, greatly increasing damage output. Expect this following the Planned Server Maintenance. I guess that's a major win for the mini bases. 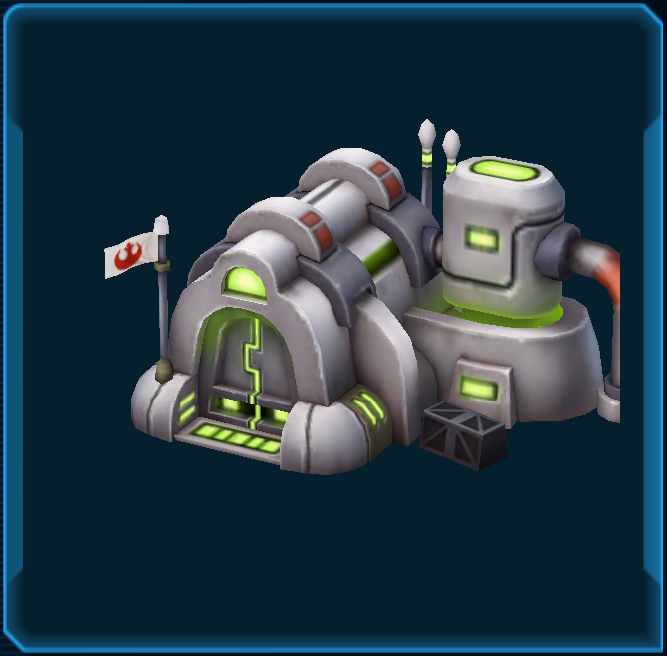 Take your two turrets, put them far away from your troop spawning areas, and you'll be fine if turret slicers are deployed. Lol, this could be pretty cool, or a nightmare. It will be fun as hell watching Sonics kill their own guard reserve troops. We don't know the stats of the slicer bots yet . But I hope that they're good and that they function under shields unlike artoo. They either need speed or range to get to the turrets before they're shredded. Otherwise I see little hope for the slicer with the rodians around. I wonder how it would work in war. We have spare rooms. Also available in trial version. We have a 100% optional discord and war regularly. A-LT "Turret Slicer" - I believe was initially referred to as the P006 as I reported here which shows screenshots and also previewed by adam1210leg in their Image Album found here. 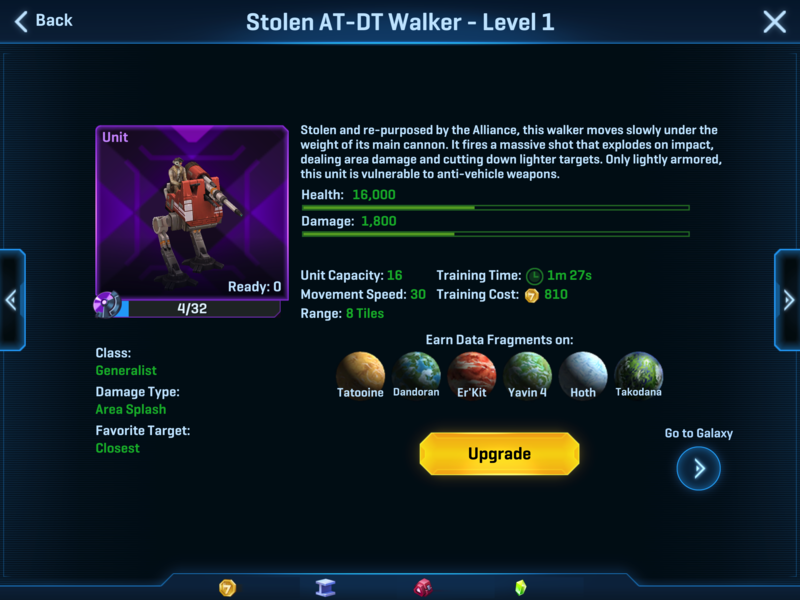 AT-DT Walker and Stolen AT-DT Walker - We know a lot about this Unit. 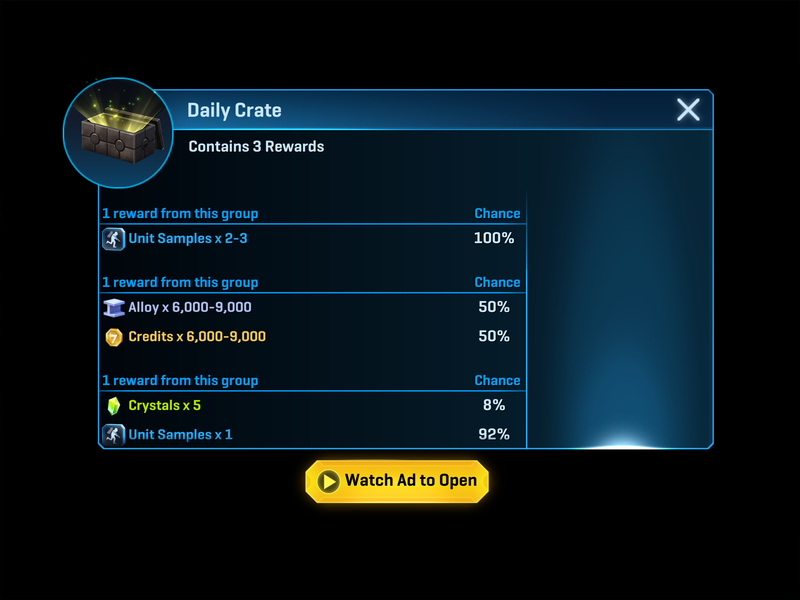 See the Topic posted here and the Image Album by adam1210leg found here. 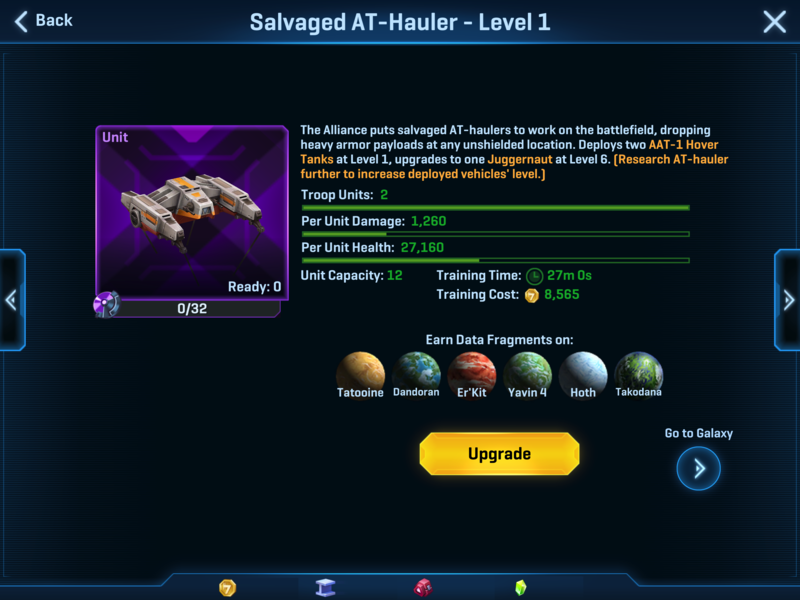 AT-Hauler and Salvaged AT-Hauler - We knew there was a "Hauler Unit" as I reported here which shows screenshots and also previewed by adam1210leg in their Image Album found here. TIE Brute - I believe was initially referred to as the Bubba TIE as I reported here which shows screenshots and also previewed by adam1210leg in their Image Album found here. 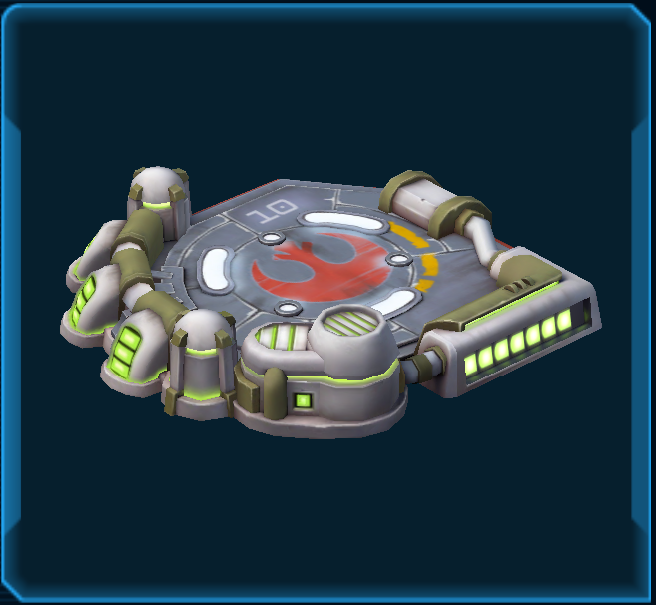 U-Wing skins - We knew this was coming thanks to JarJar in his post found here and also previewed by adam1210leg in their Image Album found here. Slow and not much range? Good luck getting to turrets if that is the case. Im happy and ready! 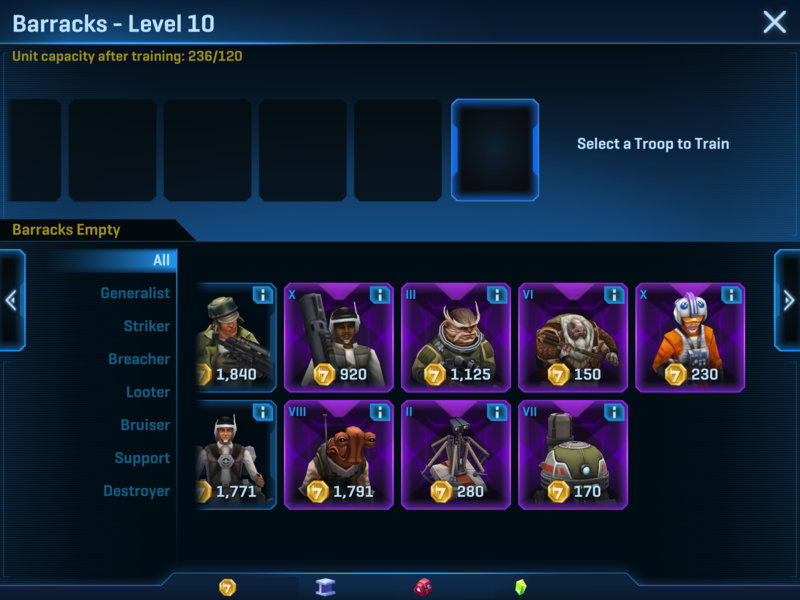 Tie fighter skins yes! Hauler yes! Turret slicer we got a space horse bring it on! Last edited by DeathStriker on Wed May 23, 2018 4:55 pm, edited 1 time in total. The new units are in the game, but are locked away until the next event begins. My both bases are working fine and also saw the stat of all new troops, but stil can't understand the concept of the new mercenary. Apparently I'm hearing Heroic Defenses have been tampered with. People who were easily getting 3 stars are now struggling to get 1.